Authorities have charged 27-year-old Bethesda, Maryland stock trader Daniel L. Beckwitt with involuntary manslaughter and second-degree murder after worker Askia Khafra died in a fire while building an elaborate 200-foot network of underground tunnels designed to protect Beckwitt from a North Korean nuclear attack. Police officers and firefighters responded and spoke with Mr. Beckwitt. In the basement, they “discovered the naked, charred body of a deceased male,” court documents said. They also found a hole in the basement floor, with an entrance shaft that dropped about 20 feet down and fanned out into tunnels spanning about 200 feet underground. The man who was found dead, Askia Khafra, 21, had been working to dig the tunnels. The medical examiner determined that the cause of death was smoke inhalation and thermal injuries. Authorities alleged in court documents that the home was in “hoarder” conditions and the underground complex was “served by a haphazard daisy-chain of extension cords and plug extenders that created substantial risk of fire,” the Times wrote, and that Beckwitt was aware of a fire risk and Khafra’s reports of the smell of smoke when he flipped a circuit breaker before the incident. They also claimed Beckwitt lied about the location of the home and only drove him to the work site in blackout glasses. Beckwitt’s side of the story, Bonsib told the Times, is that Khafra was an “experienced, willing participant” with pre-existing business relationships with Beckwitt, who worked several times on the complex, and who used the opportunity to snap photos for social media. Beckwitt says he tried twice to rescue Khafra but was overcome by smoke inhalation. Beckwitt faces a maximum sentence of 10 years if found guilty of manslaughter and 30 if found guilty of second-degree murder, the Times wrote. Start with what Vuilleumier calls a “protective envelope” of concrete and reinforced steel rebar with walls between one foot and 2-feet-7-inches thick. Don’t build near anything flammable. Your budget may allow for more spaciousness, but plan for a minimum of nine square feet per person, which is what Switzerland provides. Install eight-inch-thick concrete and steel doors that open out. Add a ventilation and air-filtration system that can be operated with a hand crank in case of a power failure. 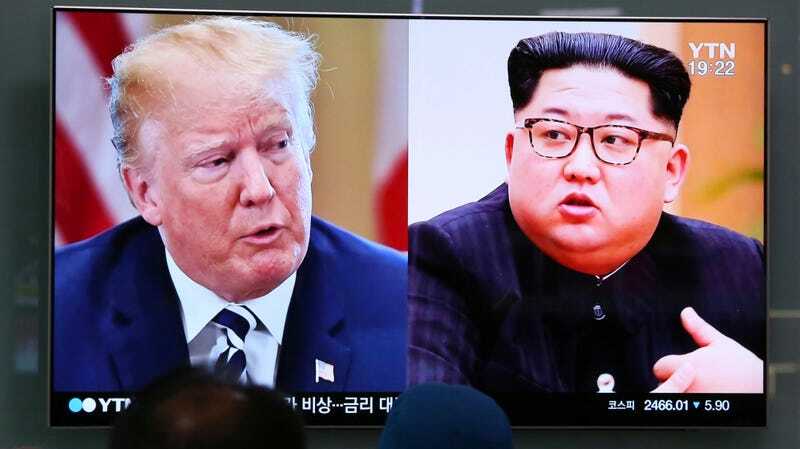 While the defendant’s prophesied nuclear war has not as of yet materialized, North Korea has spent the past few years stepping up development of long-range missiles that could potentially be used to deliver a nuclear warhead. How close the nation is to truly having intercontinental nuclear strike capability remains unclear—they are believed to have miniaturized warheads, though not necessarily missiles advanced enough to deliver them to the mainland US. That distinction may not matter on the Korean peninsula itself. Former Director of National Intelligence James Clapper recently told Bloomberg that his impression is that North Korean commanders believe they have already achieved a functional nuclear deterrent capable of deterring the conventional military superiority of US-backed South Korea. President Donald Trump’s administration is still preparing for a summit with North Korean ruler Kim Jong Un, who CNN reported seems to have been replacing key officials with “younger Kim loyalists” who could help the autocrat retain control of potential outside investment if a deal is reached. However, such a deal is far from certain and the possibility remains that even if the summit does happen, it could fall through and leave both nations at the current status quo or worse. Update, June 5th, 2018: It turns out the backstory to this tragic incident is even more bizarre. According to WJLA, Beckwitt was “was also known for attending conventions where he dressed in an ‘elaborate disguise’ resembling a HazMat suit worn by firefighters” under the moniker 3AlarmLampScooter. A reader directed Gizmodo to this footage of 3AlarmLampScooter speaking about “DIY Nukeproofing” at DEF CON 24, a hacker conference held annually in Las Vegas. A Twitter account using that name and with a bio stating the user was “very underground” showed up as protected Monday night. Finally, a Reddit account matching that username appears to have went inactive roughly eight months ago, and appears to have been an active participant in conversations on North Korea and disaster preparedness.